The Rotating TV Stand is Available for Purchase Now! Increase Employee Interaction with Customers Using One of these Great Tools Today! Find the Most Functional TV Stand in the Live Inventory Catalog! 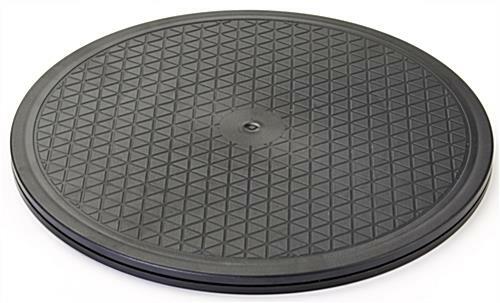 15" Monitor turntable supports dead weight of 330 lbs. 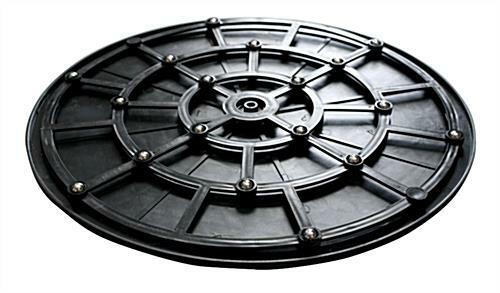 Black swivel base ideal for use by employees interacting with customers. TV Stand with 15" Diameter & Non-Skid Top Holds Up to 330 lbs. This TV stand is an excellent way for customer service representatives to show customers valuable information on a monitor. As the employees enter information into the system, they can swivel the monitor for customers to see if all the information is correct. The TV stand can support a dead weight of 330 lbs. This display rotates with ease, even when weighty items are used! The swivel base furniture, TV stand is 15" round and only 11/16" thick, which enables easy placement in most areas. 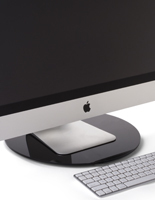 The display is made of strong polycarbonate to provide a rugged mount that will last for years to come. 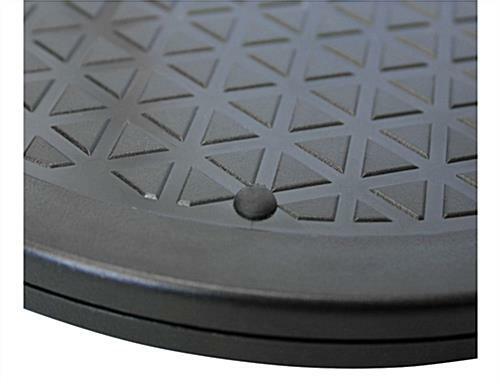 The black TV stand, like an LCD swivel base, uses a non-skid, non-scratch rubber pad for the top surface of the unit. This helps to grip items placed on the unit. This TV stand can rotate a full 360°, and can be used indoors or outdoors! This swivel base display is great for retail stores to place demo units on so that customers can easily spin the display to see every side. 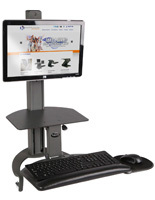 This lightweight unit makes employees' explanation of information easier, since they may turn their LCD monitor with ease to discuss important information with clients. 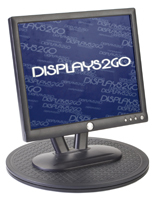 These swivel base displays, like other types of plasma furniture, work great in nearly any location! 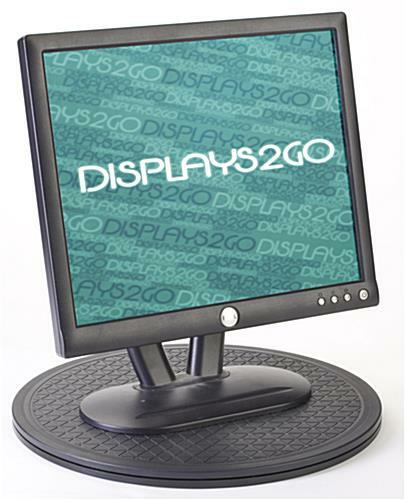 Buy these LCD holders for your home or business today!